Azuki Bars, made by Imuraya Ice Cream, are a standard frozen snack in Japan, usually selling for around 100 yen each. They’re special for being vegan friendly, relying on the goodness of sweet azuki beans rather than dairy products. They also have a legendary reputation for being hard enough to use as a hammer or survive for days outside of a freezer. 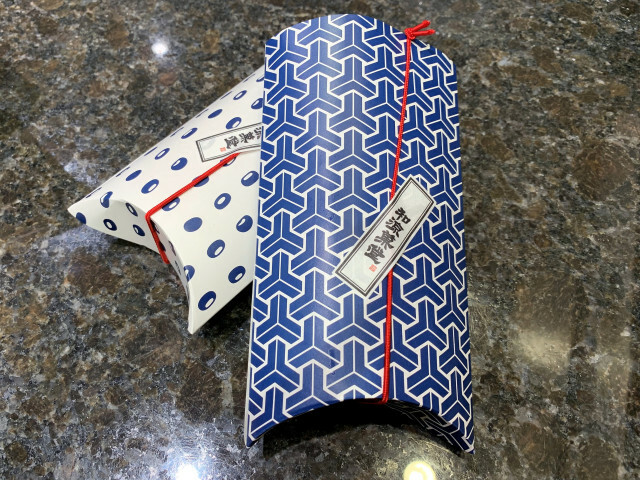 But now we heard of a whole new luxurious take on the Azuki Bar on sale at theImuraya Waryokado store in the newly remodeled Isetan Department store in Kyoto. Not to be confused with the premium Gold Azuki Bar, which uses special beans cultivated in Hokkaido, the ones on sale now are a whole other level of sophistication. 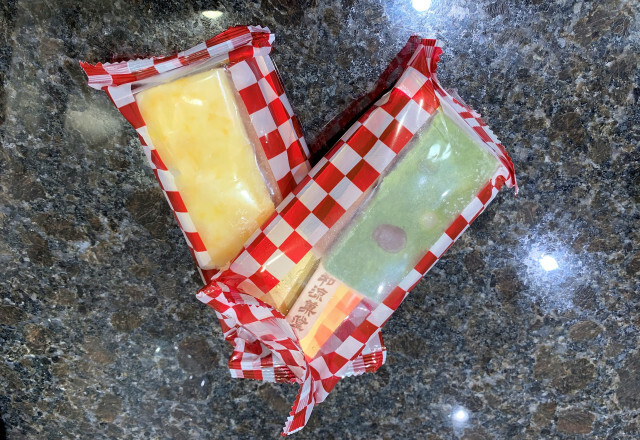 We sent out writer Masami out to Kyoto try of these new Ryoka Bars. On display in the case were replicas of several colorful frozen treats. 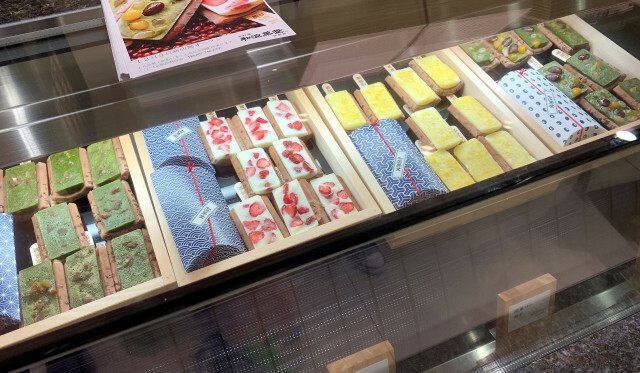 They all had the same basic structure of a plain azuki bar which was curved in such a way that it could hold one of the following toppings: Matcha & Chestnuts or Matcha & Beans for 411 yen, as well as Strawberries or Yuzu for 432 yen. Strawberry was the most popular but unfortunately sold out by the time Masami got there, so she chose the Yuzu and Matcha & Beans ones. 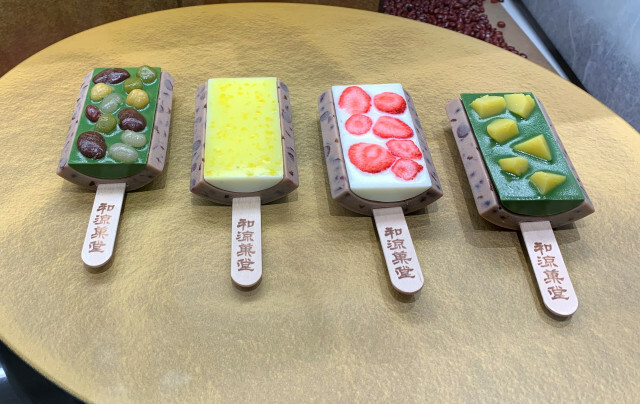 Each came in a surprisingly fancy box for a popsicle. 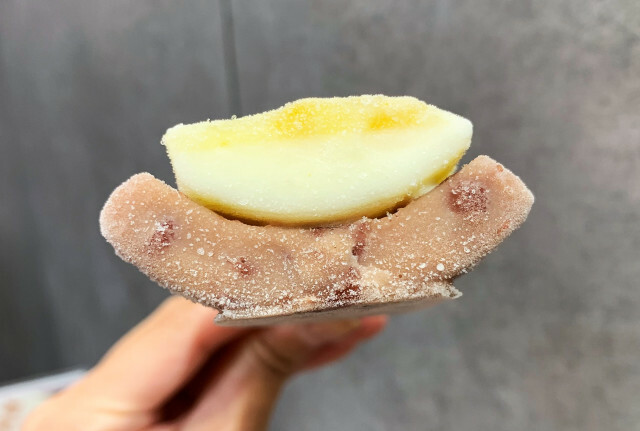 Masami pulled out the Yuzu Bar and braced herself for a first bite, keeping in mind Azuki Bar’s legendary hardness. ▼ Top view of the Yuzu Bar. However, much to her surprise, it wasn’t hard at all. Although firm, it was quite manageable and easy enough to bite through without shattering any teeth. More importantly the taste was fantastic. 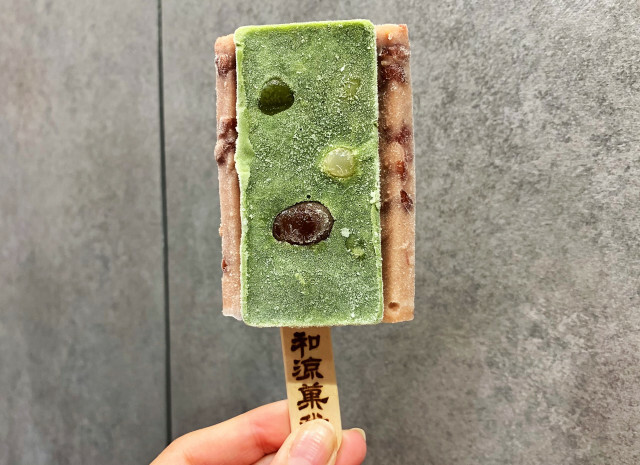 Yuzu has a natural sharp sourness to it, but when paired with the mild chocolate-like sweetness of the azuki beans, everything balanced out beautifully. The matcha flavor was a no-brainer. Green tea and azuki beans are a quintessential combo when it comes to Japanese sweets. In frozen snack form, this perfect marriage of subtly sweet and bitter tastes still does not disappoint. Even at four times the cost of a regular Azuki Bar, these creations were well worth it. If you happen to be in the Kyoto area and want a truly exquisite and truly Japanese dessert, you needn’t look any further. However, if you need to hammer in some drywall anchors, stick to the regular Azuki Bars. Open: 10 a.m. to 8 p.m.
-- Coming soon to Japan: Chilled sweet bean ice candy flavored potato chips…with salt! -- Another Japan-meets-ice cream creation from Häagen-Dazs — this time it’s strawberries and azuki!